A new multilevel fit to 235U total and fission cross section data up to 93 eV has been obtained in S-matrix formalism. The collision matrix unitarity method has been used to construct elastic scattering and neutron capture resonance cross-sections from the total and fission resonance parameters. So, interference effects have been taken into account for all partial cross-sections. Resonance parameters have been written in ENDF/B format. 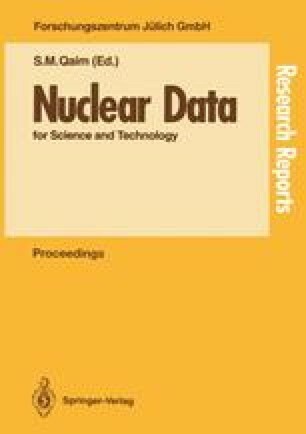 Group averaged cross-sections and neutron transmission have been calculated and compared with other evaluations and experimental results.